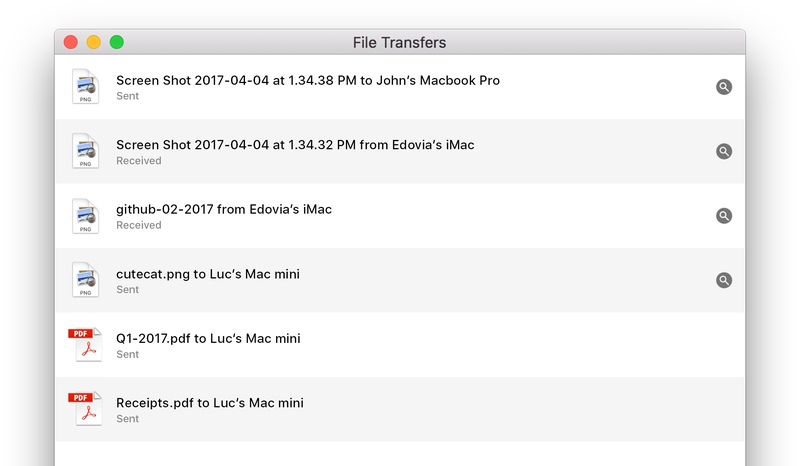 Seeking a Back to My Mac alternative? 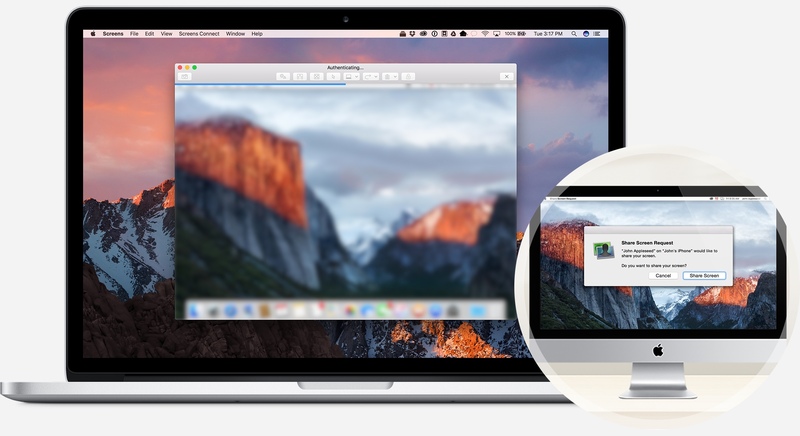 Screens does the job insanely well and offers even more features! from anywhere as if you were sitting in front of it! 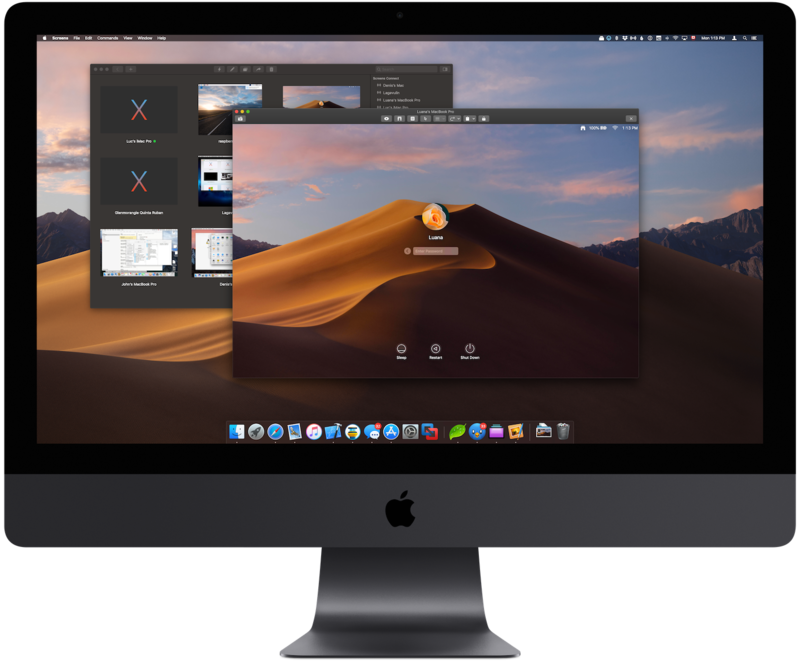 Screens is ready for macOS 10.14 Mojave and its gorgeous Dark Mode. Work on that spreadsheet you left at home, perform software updates on your server on another continent, or help your dad configure his computer miles away back in your hometown. 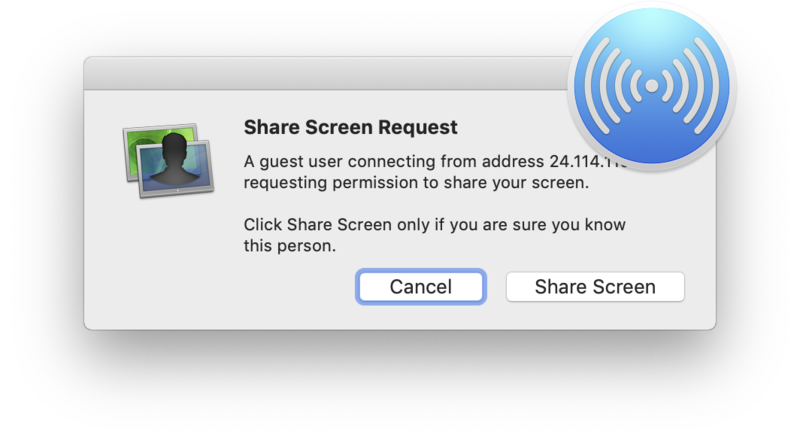 Install Screens Connect, our free utility on your Mac or Windows PC and make it reachable from anywhere in the world. 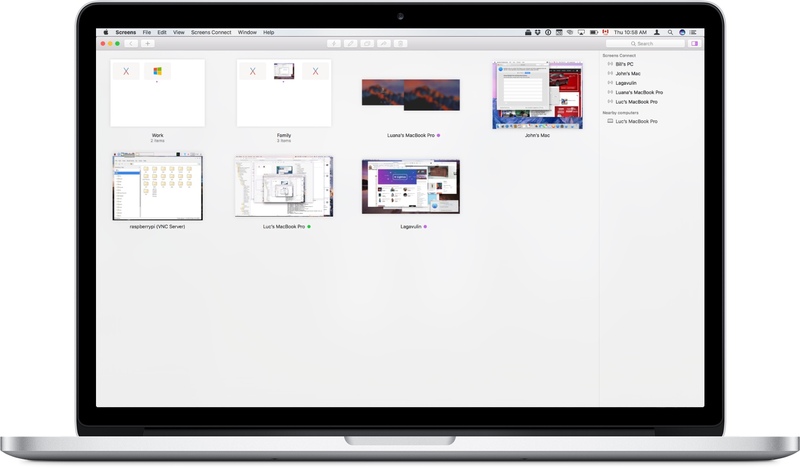 Organize your saved screens as groups to keep everything in order. 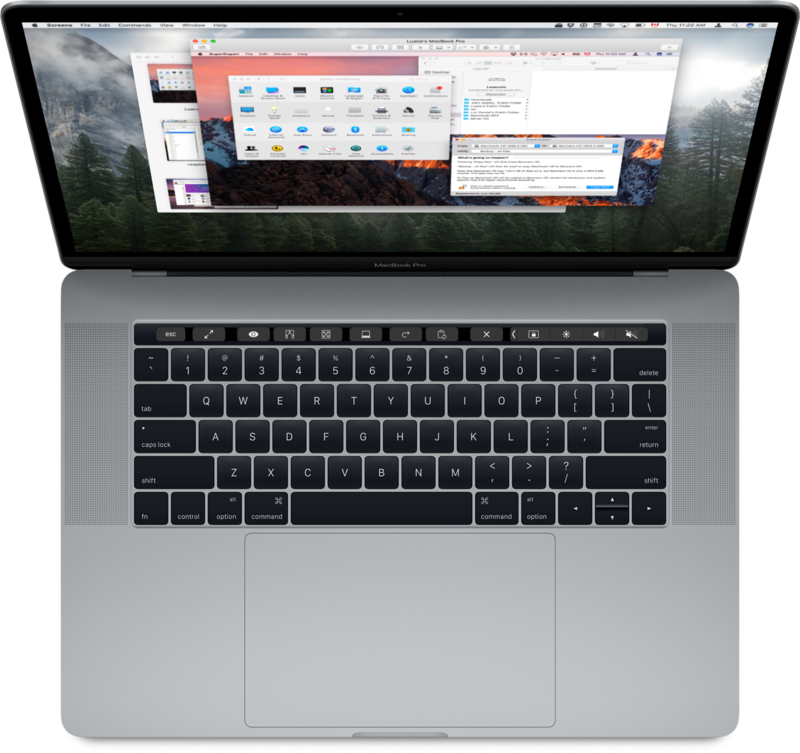 Unleash the power of Touch Bar with Screens, especially in full screen mode. Easily help family members, friends, etc. Screens Express is a great solution to the problem of remote troubleshooting for family members, friends or clients. 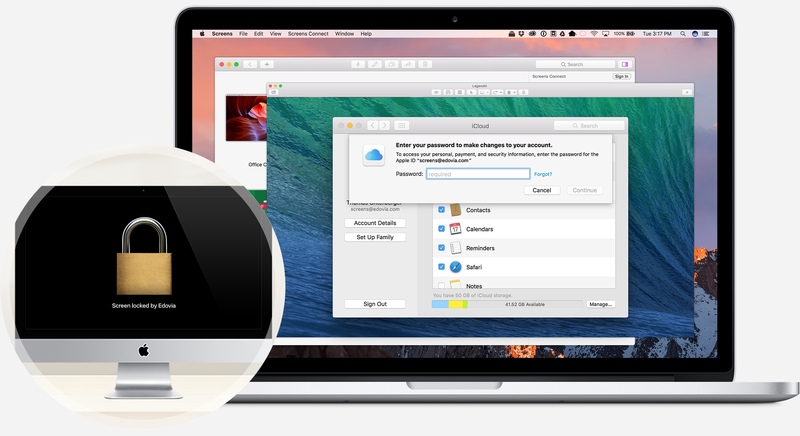 Simply download and run this free utility on the Mac you wish to control and connect via Screens. It's that easy! And control your computers from anywhere. 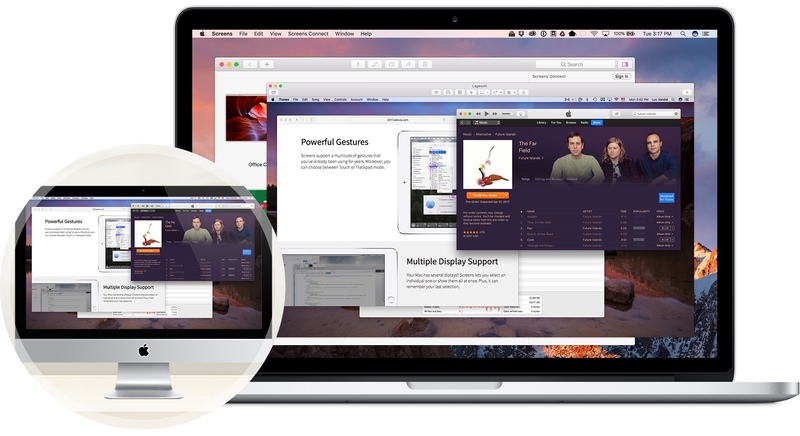 Supports macOS 10.12 Sierra or later. If you own any previous version of Screens, you are eligible for an upgrade license. We also offer volume discount. For more details about our license usage, click here.